Zero Configuration, No Agent Agent-less monitoring. Query Analysis works "out of the box" using MySQL 5.6 Performance Schema. Policy based administration Specify global policies, then override for custom groups. Centrally view configurations View the configuration for your mysqld instances directly within the monitor. Best Practice Advisors 14 Advisor Groups and 225+ Advisors provide automated expert guidance, for issues such as poor indexing, blocking, concurrency, long running processes, etc. Easily create custom advisors. Visual Trend Analysis Easily identify trends for individual servers, groups, or entire topology. Identify outliers. Fix potential problems, before they happen. Smart Rules & Alerts Rules and alerts adapt to changes in your IT infrastructure, using SMTP & SNMP with customizable thresholds. Role Based Access Control Easy, fine-grained control of access to your monitoring assets and features, allowing easy setup and administration in a variety of multi-tenant and multi-use installations. Agent-less, remote monitoring Monitor remote mysqld instances without the need for a remote agent. Availability Monitoring Determine ability to meet weekly, monthly, and yearly SLAs. Health Alerts Monitor health with configurable alerts for important events, using SMTP & SNMP with customizable thresholds. Performance Monitoring Monitor key performance metrics for your MySQL instances. Performance Tuning Get helpful advice on how to improve MySQL configuration, based on live performance metrics, and trend analysis. Statement Execution Time Get alerts when average query execution times drop below configurable thresholds. User Statistics Monitor MySQL resource utilization broken down by user. Concurrent Queries Get alerts when you have too many concurrent queries running. Capacity planning allows you to know when you will need to distribute the load to more servers. Query Pileup Get alerts when queries begin piling up, blocking other queries. Maximum Connections Know when the capacity of your servers is nearing its limit so that you can head off potential problems. Long running Processes Get alerts when you have too many processes taking too long to complete. 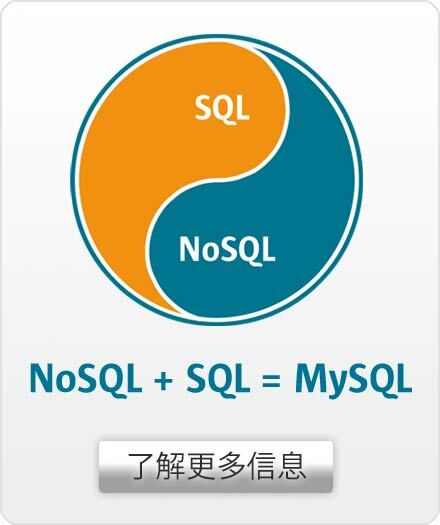 Query Analyzer With MySQL 5.6, Performance Schema is used for query analysis. Drill down into detailed query information, pinpoint SQL code that is the root cause of slow downs, and fix performance issues. Top 10 most expensive queries Identify the queries that use the most resources, generate high load, or simply taking too long to complete. Drill-down analysis Easily examine the execution plan for the query, see sample queries, see the details of the query execution. Response Time analysis The Query Response Time index offers immediate insight into the overall query performance of a server, a group, or that of individual queries. MySQL Cluster Dashboard Display MySQL Cluster instrumentation and key metrics that provides detailed at-a-glance views into the MySQL Cluster operations. MySQL Cluster Topology View Display the current configuration of your MySQL Cluster Topologies, enabling you to quickly see the status of each node, the topology as a whole, and each NDB process and subsystem. MySQL Cluster Topology Automatically detect the MySQL Cluster topology and any changes that occur. MySQL Cluster Health Monitor the health of your MySQL Cluster setups, sending alerts when any problems are detected. MySQL Cluster Memory Monitor Data and Index memory consumed by the data nodes. MySQL Cluster Log buffers and files Monitor usage of files and buffers for redo and undo logs. InnoDB Performance Monitor the key metrics for InnoDB engine performance. InnoDB Configuration Get tips and hints on how to improve your InnoDB configuration based on the current performance and trend analysis. InnoDB Locking Stay abreast of potential and existing InnoDB locking issues. InnoDB Buffer Pool Stay on top of your InnoDB buffer pool usage, and the related configuration options. Index Tuning Get alerts when your index usage needs improvement, followed by advice on how to improve it. Replication Dashboard Display MySQL Replication Instrumentation and latest replication enhancements including Group Replication, InnoDB clusters, multi-source replication, GTIDs, and semi synchronous replication. Topology View Displays the current configuration of your Replication Topologies, enabling you to quickly see the status of each node, the topology as a whole, and each replication subsystem. Replication Topology Automatically detect the replication topology, and any changes that occur. Replication Performance Monitor the live performance, and receive customizable alerts when performance problems have been detected. Replication Health Monitors the health of your replicated environments, sending alerts when any problems are detected. Slave Lag Sends alerts when a slave falls too far behind its master. MySQL Memory Usage Monitor MySQL's internal memory usage, as well as its memory usage at the OS level. Get alerts when memory usage is too high. Configuration Advice Get advice on improving the memory usage characteristics of your monitored assets, based on live status and trend analysis. Disk I/O Monitor the live Disk I/O being done, as well as analyze longer term usage trends. Get advice on configuration changes to reduce disk I/O and/or reduce the space used on disk. Disk Space Get pro-active alerts predicting when MySQL will run out of disk space. Auto-discovery of mysqld instances The MEM Agent will automatically detect any unmonitored instances of mysqld. Load Monitoring Monitor key performance metrics for host machines, and identify trends. Get Alerts when the load average is too high. CPU Usage Monitor the live CPU usage on host machines, identify trends, as well as outliers in your defined groups. Receive Alerts when CPU usage gets too high. Swap Usage Monitors swap usage, sending alerts if the usage goes beyond a configurable threshold. Network Traffic Monitor the network traffic for your ethernet devices. Memory Usage Get alerts when your free RAM gets below configured thresholds. MySQL Enterprise Firewall Monitor MySQL Enterprise Firewall activities, staying abreast of potential security concerns and ensuring protection of your data. MySQL Enterprise Audit Monitor MySQL Enterprise Audit activities, ensuring effective monitoring of access to your data. Account Management Get alerts if there are accounts with no passwords, weak passwords, overly broad privileges, etc. Monitor Access Problems Get alerts when network connectivity problems occur, or when there are indications of a potential attack on your systems. Backup Dashboard Monitor backup status, history and archive details by group or instance. Backup Alerts Get alerts if your last full backup is too old. Backup Health Get alerts if your previous backup attempt failed. Backup Performance Get alerts if your previous backup attempt caused any locking or performance issues for MySQL. Backup History View backup history including backup type, status, completion timestamp and the log coordinates.